The St. Louis Cardinals have been our favorite team for as long as I can remember, and Grace has definitely been to her fair share of games over the past four years. I think she was just about eight months old the first time we took her, and even though it was a hot day, we all really enjoyed it. 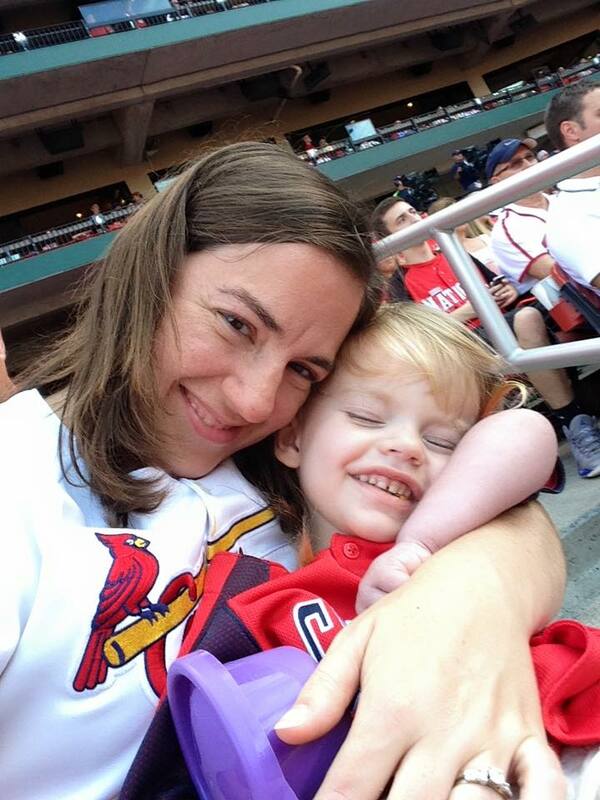 And I definitely enjoyed some Grace snuggles during the game. She likes to people watch in the seats, and we have also taken her to the kids area where she used to hop around baseball themed items. Although she isn't able to do some of that anymore, we did have a chance to take her to her first game of 2015. Grandma and Grandpa enjoyed the snuggles too! Kyle had a City Council meeting to cover, so Grace and I went with mom and dad on Thursday night. 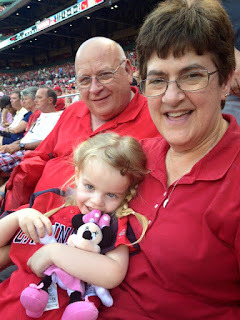 Our seats were about seven rows behind the Cardinals dugout, and Grace loved it every time a Cardinal player came up to bat, as she wiggled to the walk-up music. 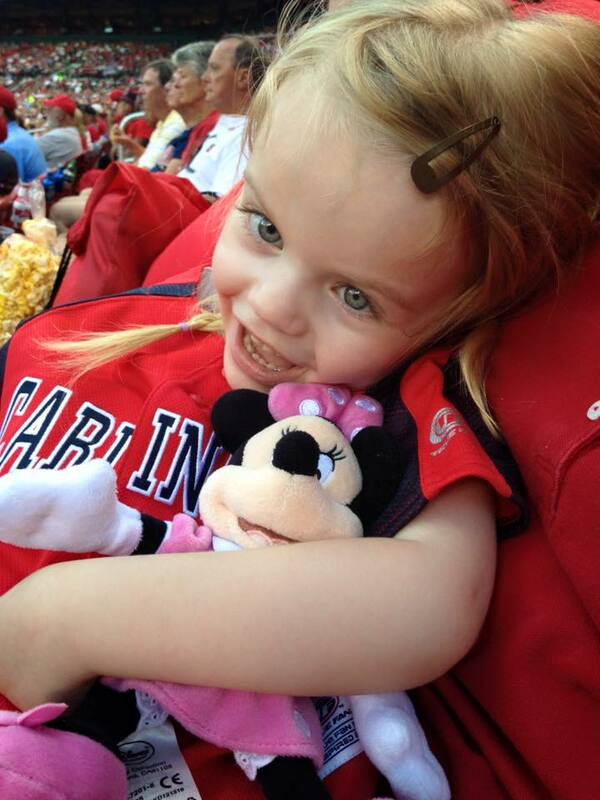 We made it until the 8th inning before she was ready to go home. 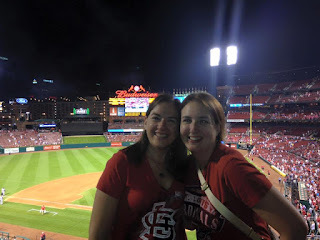 But it was a fun night, just sitting in the stands watching one of our favorite teams play. 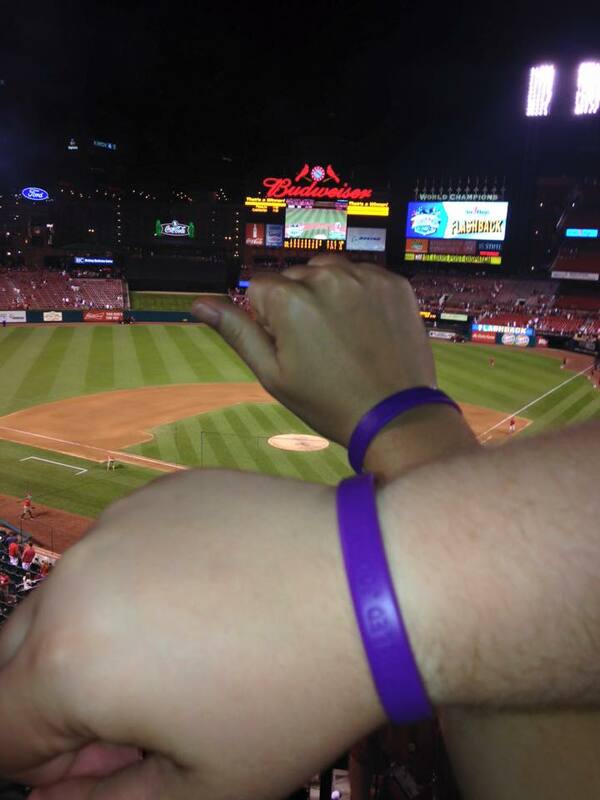 We had a great time the second night with our friends at the game. Then on the following night, Kyle and I took some friends to a game in the Redbird Club. We had a great night visiting and of course, eating. 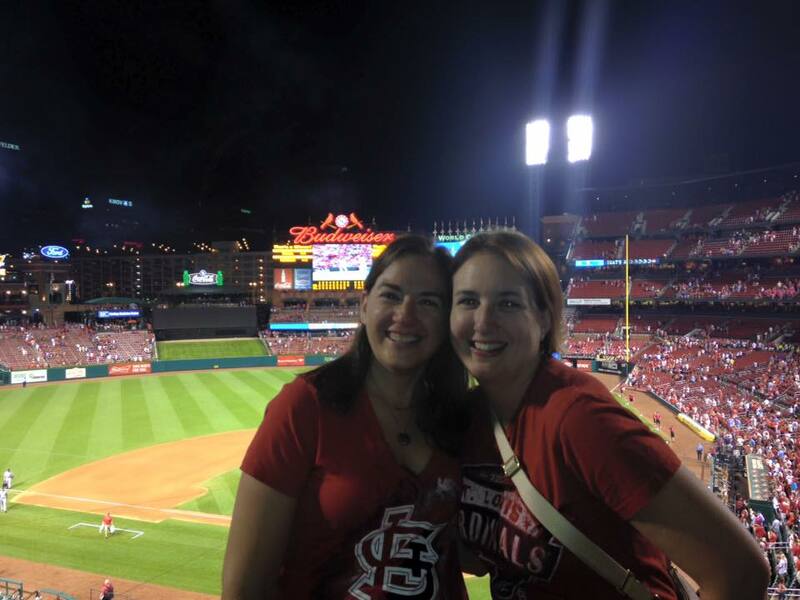 And the Cardinals even won both nights - so we must be a good luck charm!